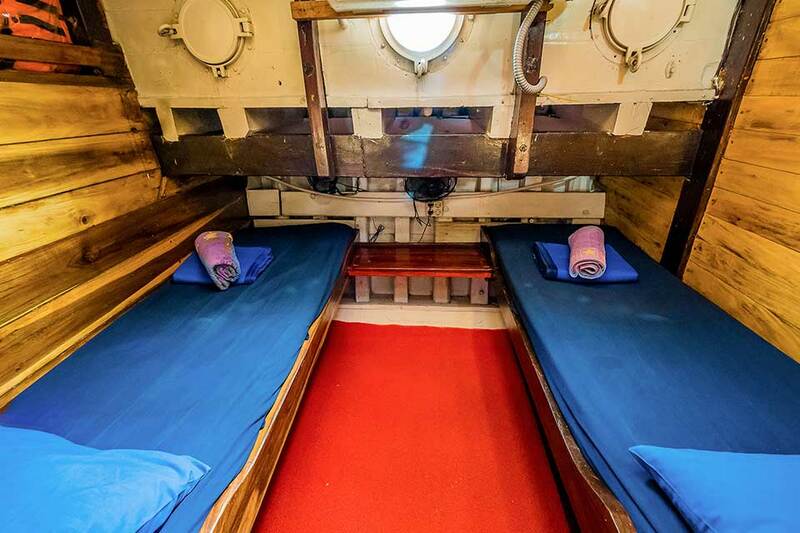 Raja Ampat Liveaboard – Adventuring through Raja Ampat- the Coral Triangle. 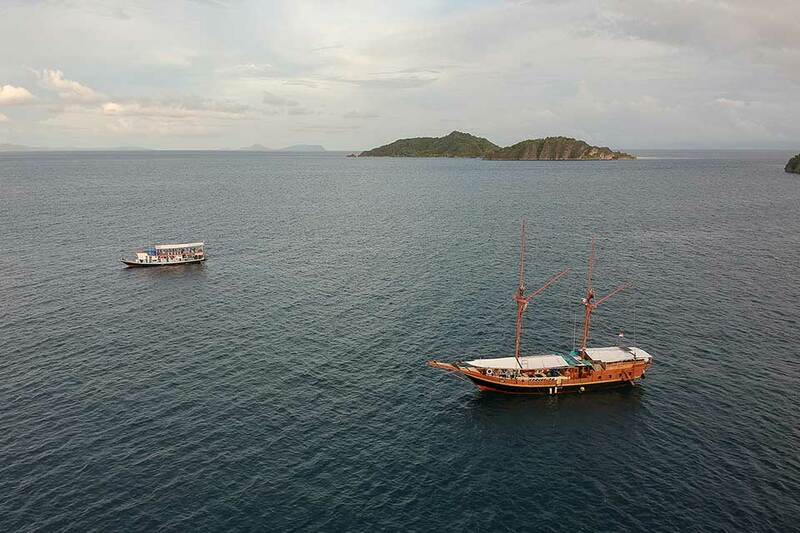 Raja Ampat is calling us to explore its 2500 islands, 1320 interesting species of fish and 550 species of coral. 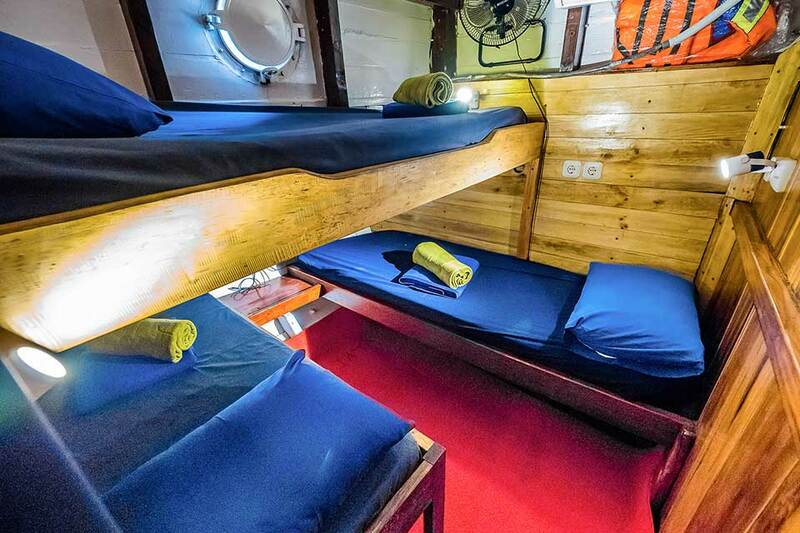 We invite you to discover the rich marine life and the beautiful coral reefs with us on our Raja Ampat Liveaboard. 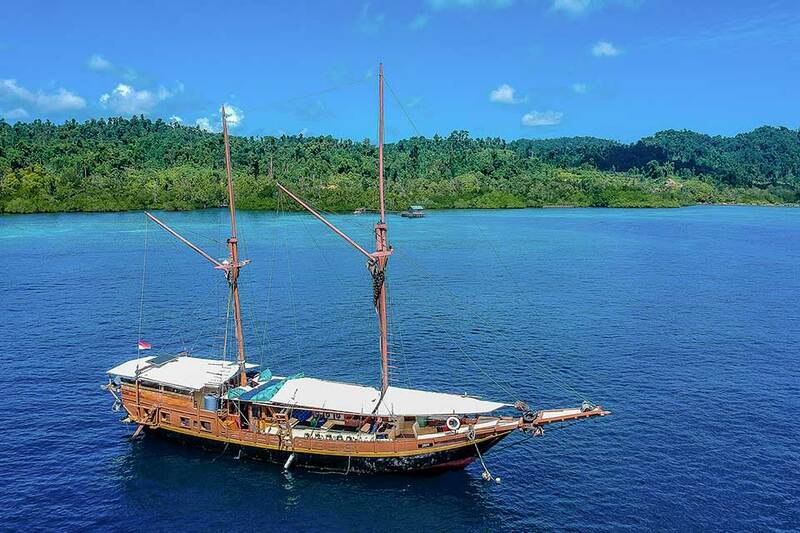 Diving in Raja Ampat is world class and we take you to “off the beaten track” to experience the best of it. 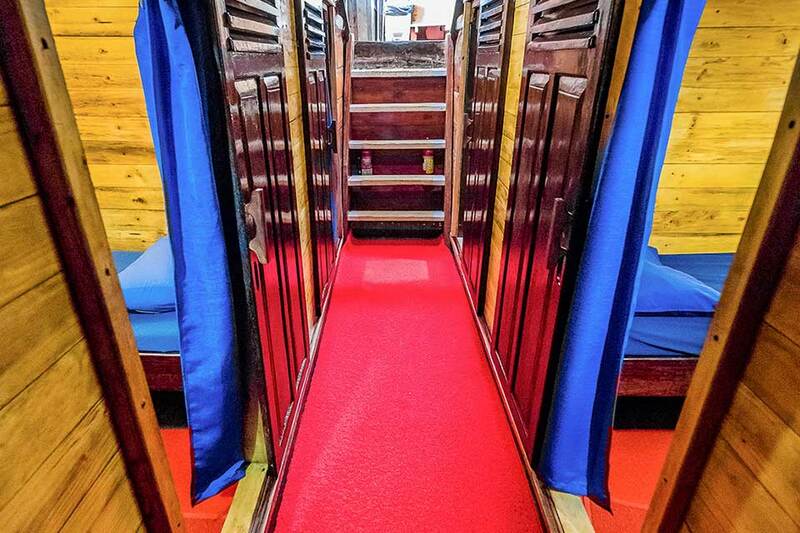 We take only 14 guests on board per trip. For your safety and comfort we assign 4 divers per guide to make sure your experience through the wonders of Raja Ampat is exceptional and unforgettable. Aboard our vessel we like the life is without hassle. Our professional crew has years of experience, the region and its conservation is their passion! 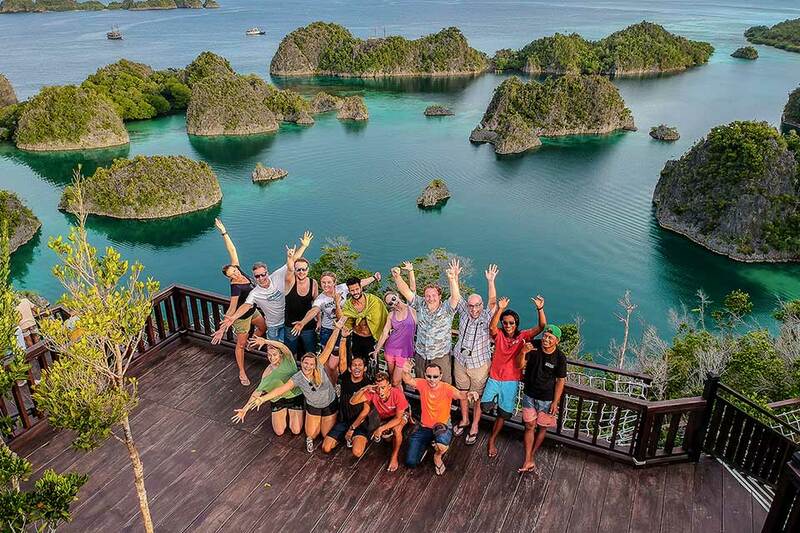 Be aware- the love for Raja Ampat is constagious! 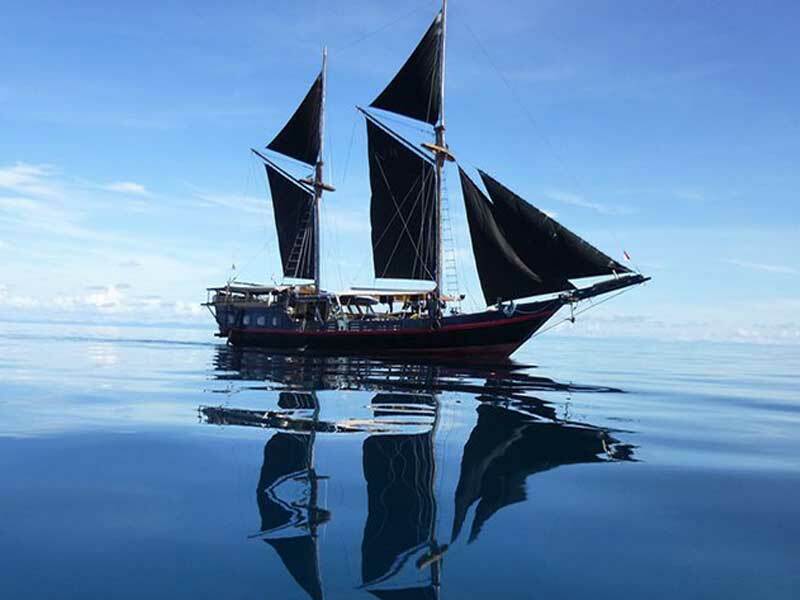 Jaya Raja Ampat Liveaboard is Scuba Republic Indonesia Trip. All Payment will Directly to Scuba Republic Indonesia. So, dont worry about your booking. 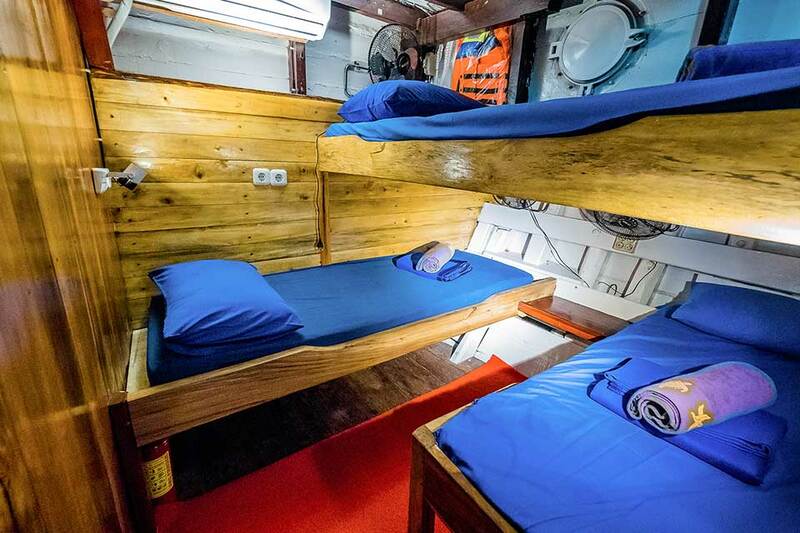 4 dives including night dive and the land visit to Arborek island (Dampier Strait). 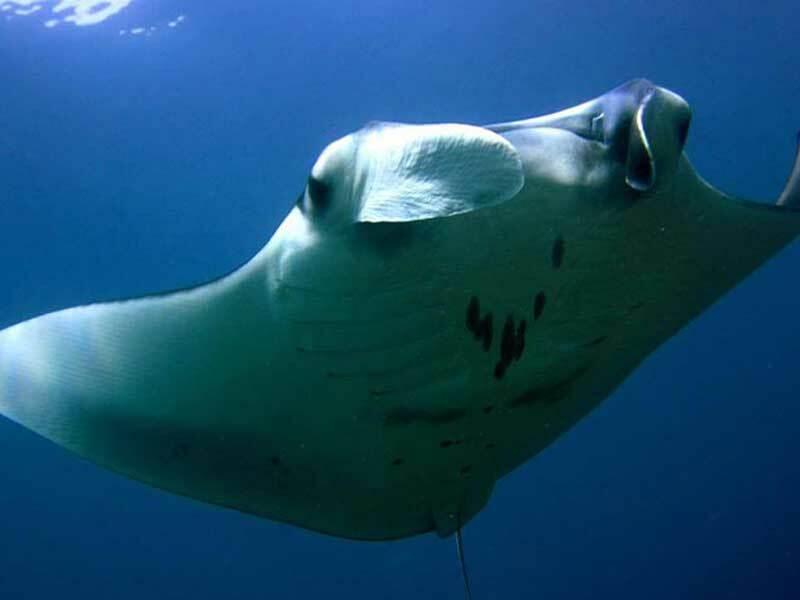 3 dive day including Manta Sandy and Penemu Islands. With a lagoon visit to the famous lagoon photo. Travel north if weather all good. 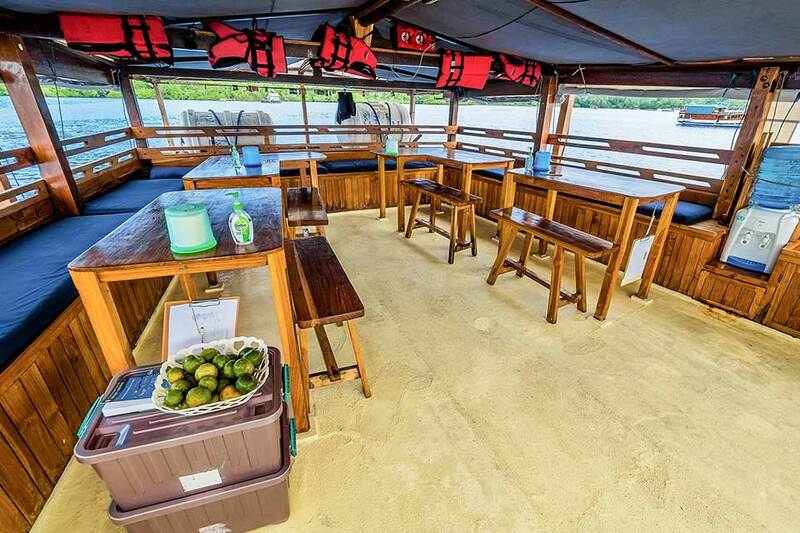 4 dives around Kawe area including night dive in Aljui Bay pearl farm jetty. 3 dives travelling south around Yefmo and Gam area. 3 dives plus a beach visit to Mioskon island to see flying Fox. 1 dive and washing and packing of equipment plus sails upon Jaya for photo video op. Arrive Waisai approx 12 pm have a small lunch and then board the ferry to Sorong around 2 pm, arrive at 4 pm in Sorong Harbour, The Jaya crew will take your back to your Hotel. It is your responsibility to ensure you respect the 24-hour no-fly time after your last dive! Please Note: Schedule will always be determined by conditions, weather, marine life and numbers dependant. Raja Ampat is famous for its coral reefs and marine biodiversity so we ensure we select the best the variety we have to offer at that point in the season. How much is the Marine Park permit fee? As of 2007, it is mandatory for each visitor, divers or non-divers, to purchase a Marine Park tag, which is valid for a whole year. The cost is 1 000 000 Rupiah (approx. 70 € or $75 US) for foreign nationals. Children 12 years and younger are exempt from paying the fee. 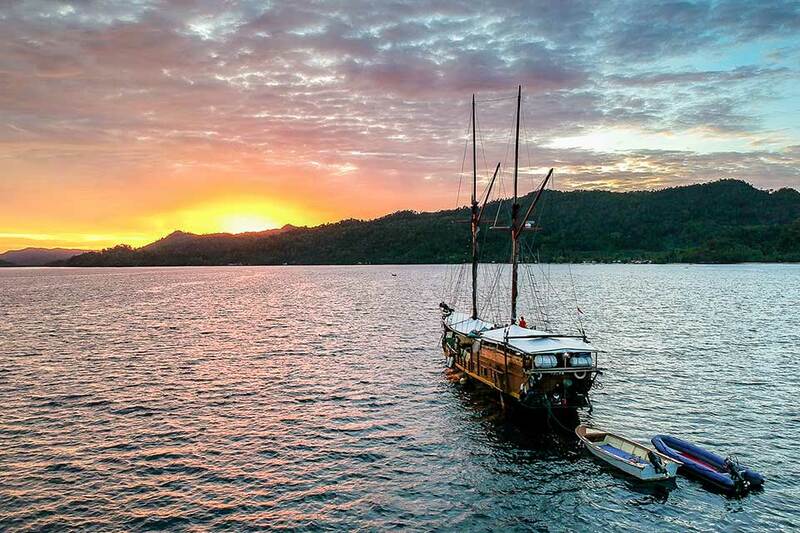 You could either buy them yourself in Sorong on your way to the ferry, or ask our friendly dive staff in assisting you to find the Marine Park office in Waisai. Please keep in mind that we are in a VERY remote area. Dive Certification card (mandatory for all divers). Dive insurance (mandatory for all divers). Annual dive insurance policies can be purchased before your arrival. We recommend you consider the Dive Master Insurance, as they are specialists in Diver safety and only cost $5 US per day. Insect repellent & light coloured clothes. A warm pullover or jacket. Evenings can occasionally be brisk, and the domestic flights are often freezing and do not provide blankets in the plane. Passport valid for 6 months from the time of entry into Indonesia. Nationals of most countries will be granted a free 30-day Visa on Arrival. We recommend you check with the Indonesian Embassy in your home country to confirm. Sometimes travellers are asked by Indonesian Immigration officials to show a copy of their airline ticket out of Indonesia within the 30-day period. Happens rarely but is possible. Hat, sunglasses, sun block, insect repellent, extra batteries, a towel and tampons! You can’t find them in Sorong. Our dress code is extremely casual. It is recommended that all travellers bring their own set of medicine (ibuprofen, cortisone, antihistamine, fever, cold, diarrhea, etc) as it is really difficult to get here. You should include antibiotic ointment and band aids to treat all skin irritations as soon as possible to prevent infections. How do I get to Sorong? The easiest way to get to Sorong is to fly via Jakarta or Singapore. Domestic travellers can also fly via Makassar or Manado. From Singapore: Silkair operates regular flights from Singapore to Manado. From Manado to Sorong regular flights are offered by Garuda Indonesia, Lion Air and Express Air. Please note the flight times are subject to change without prior notification. Trying to book through most local airline websites from overseas can be difficult because they only accept Indonesian credit/debit cards. Therefor we highly recommend purchasing travel insurance and using a booking agent. However, Garuda Indonesia offers online sales through their website and accepts International credit cards. What are the baggage limitations? Some international carriers provide baggage allowances for Scuba equipment, however domestic airlines do not provide a dive gear allowance. The exception is Garuda Indonesia. They are a member of the Sky Team alliance, such as Air France, Alitalia, Air Europa, Delta, KLM and Korean Air. If you arrive with any of those carries, you may be able to check your baggage all the way through to Sorong. In this case, Garuda currently allows 32kg for domestic flights as well. Any excess luggage has to be paid in Indonesian Rupiah at the airport on check-in. Rates for excess baggage are subject to change without notice and vary depend on the airline, aircraft type and location. 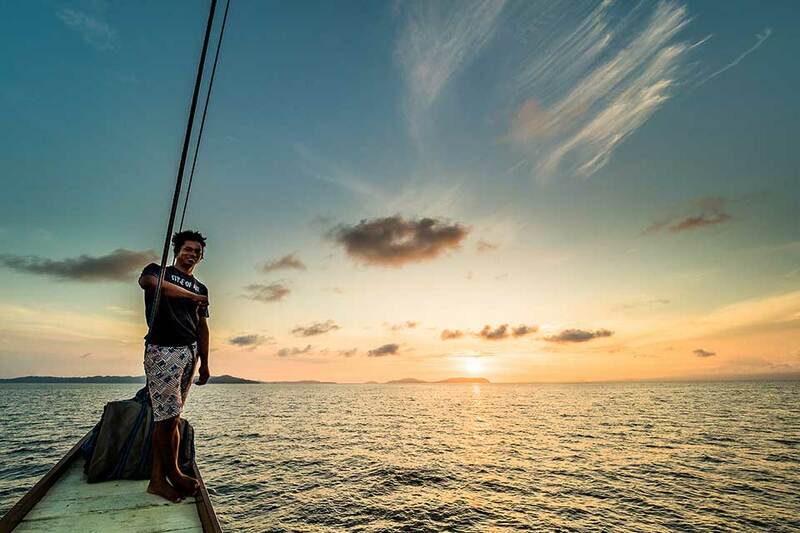 Feeling very grateful for this beautiful trip… lovely, fun and caring crew, amazing dives, delicious and abundant food!